Come make a difference in the life of someone else and have fun while doing it! Year-round programs offer opportunities for volunteers to assist our staff prepare activities and events geared toward individuals with autism, including arts and crafts, group games, and outdoor fun. Learn more about our year-round programs. Maintenance work is another opportunity to serve, including lawn mowing, painting, trail clearing, office work (filing, data entry, shredding), creating materials for our programs and other general tasks. Corporate or civic groups can volunteer for service projects throughout the year. In the past, corporate groups have built wheelchair-accessible ramps, cleaned out cabins before summer camp, and have even provided a cookout for the campers. From small group building projects to helping us to prepare for our summer season, we have a multitude of available volunteer opportunities to suit a variety of interests. You can also help sponsor a camper to come to camp. Because Camp Royall provides a 1:1 or 1:2 counselor-to-camper ratio, it is difficult for some families to afford to send their children to camp. By sponsoring a child, you can directly improve the life of someone on the autism spectrum and their family. If you are interested in sponsoring a child to come to camp, please contact Kristy White, ASNC Chief Development Officer, at kwhite@autismsociety-nc.org. Please check the Camp Royall wish list of items that can be donated to help with the operation of the camp and our programs. 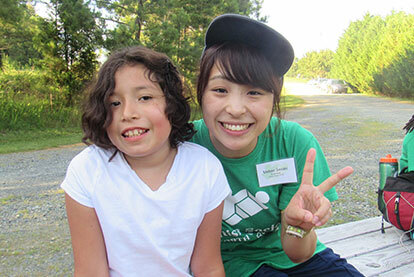 Why do you want to volunteer at Camp Royall? The contact information provided by the applicant for each group is responsible for all contact between Camp Royall staff and the aforementioned group. The applicant is responsible for the actions of the individuals of their group should any problems arise during a group’s volunteer session at Camp Royall. A week prior to a group volunteering, a list will be provided to the Camp Director with names and contact information for each member volunteering.